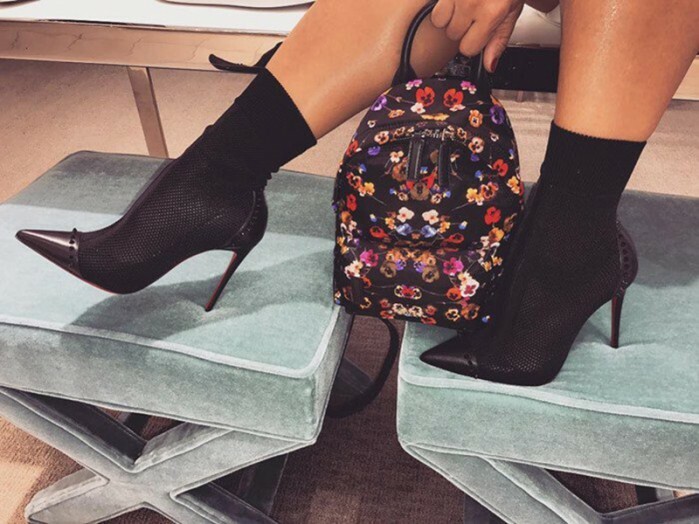 Christian Louboutin’s ‘Dovi Dova’ boots are a hybrid of this season’s coveted sock style and the designer’s signature stiletto pump. 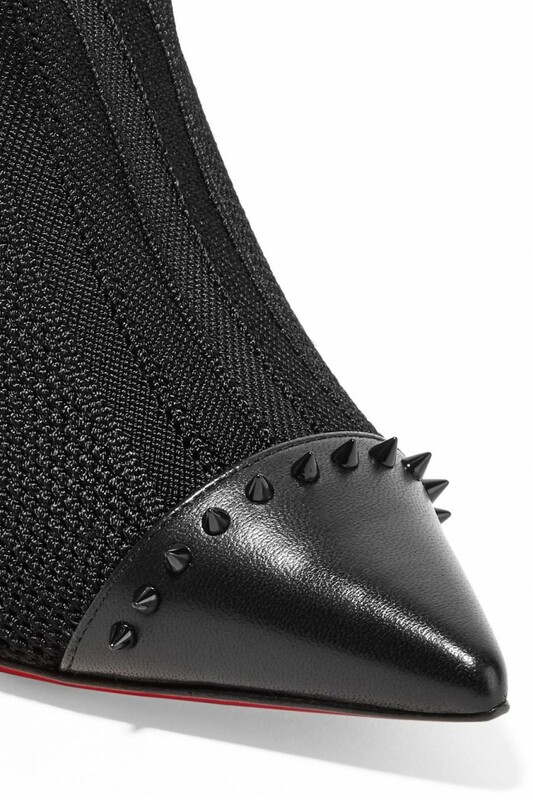 Made from tactile stretch-knit, they’re framed with a black leather heel and pointed toe that are embellished with gunmetal spikes. 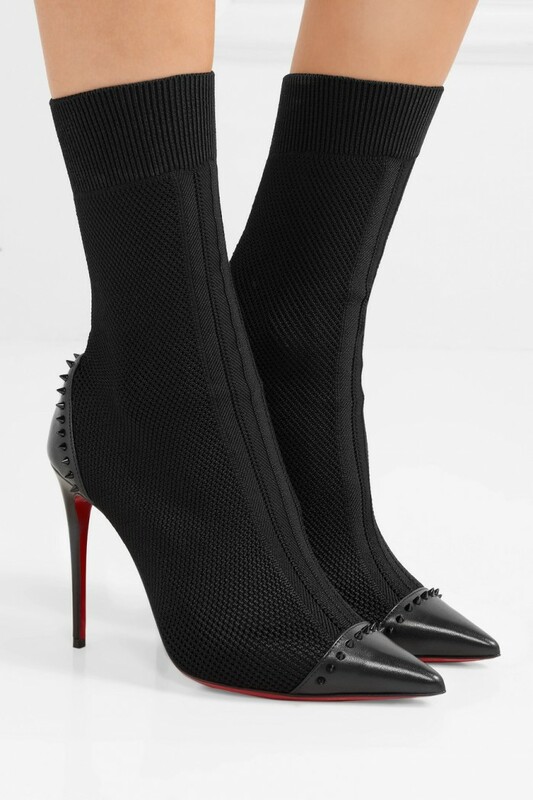 The ribbed cuffs and striped center have a sporty feel but also keep your feet feeling secure.